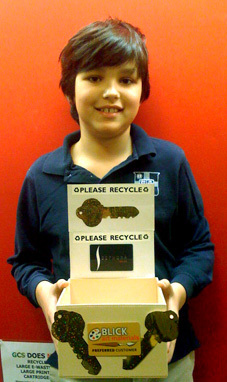 JOIN THE GREEN TEAM’S EFFORT TO REDUCE eWASTE WHILE HELPING TO BUILD OUR CONTRIBUTIONS TO HAITIAN DISASTER RELIEF. The Green Team will be hosting an eGame Swap. Drop off your used, unwanted, but playable games in the South Hall between 1/29 and 2/9. Any console is acceptable. We will give the games away on Wednesday February 10th, from 2-4pm, in the front lobby. You can make an optional donation for the games you choose, and 100% of the proceeds will go to the school’s Haitian Relief effort. The Green Team has 2 new collections this week. Bring in your old gift cards and old keys. We will bring old gift cards to Best Buy to be recycled with their Green Program. Keys will be donated to Keys for Kindness to help patients with Multiple Sclerosis. See links for more information. 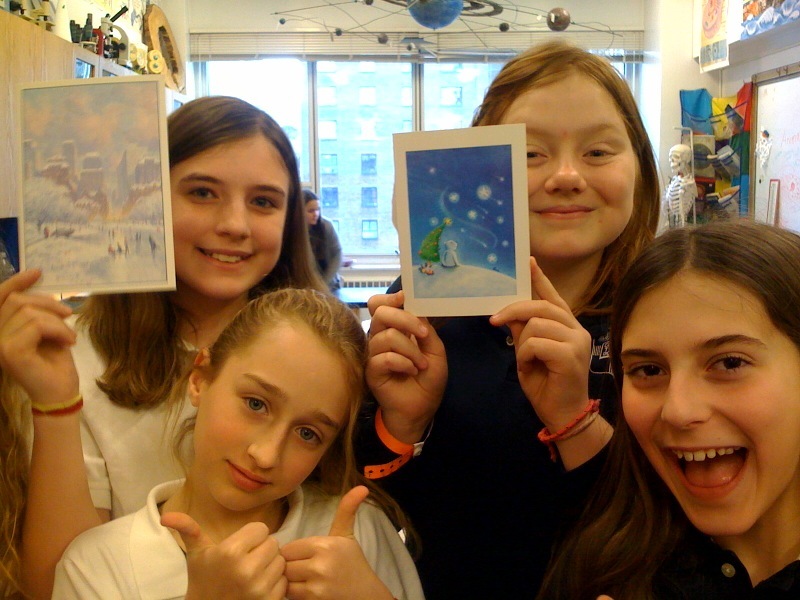 Bring in your old Holiday Cards for 2 ways to help others – (1) We will use elements of old cards to help create Valentines for Beth Israel Hospital. (2) Unused cards will be donated to the St. Jude’s Ranch where cards are upcycled into new ornaments and sold to benefit abused children in need of shelter and care. Also, check out Green Team member Grace Amerling’s article in THE EYE, GCS’s online newsletter. MulchFest 2010: Recycle Your Tree Today! 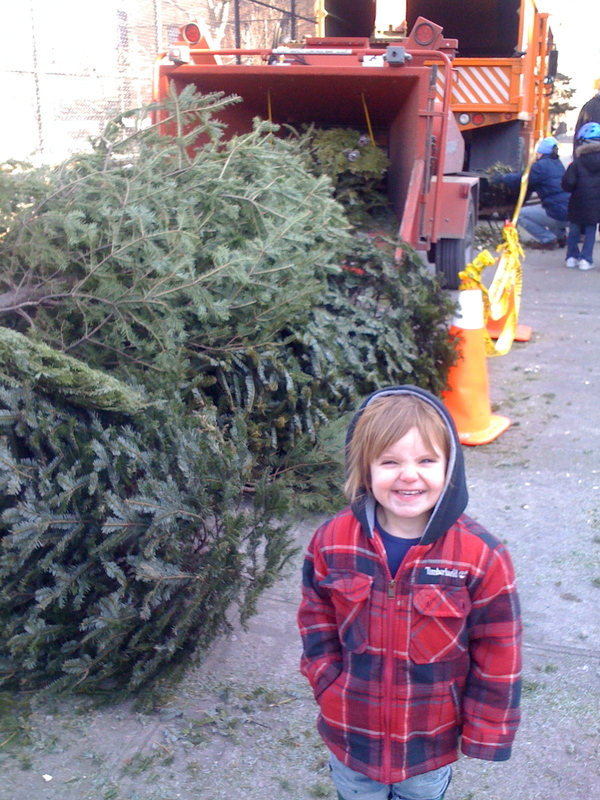 You can bring your Christmas tree to a NYC Park, mulch it in a free chipper, and get some mulch for your garden! Take advantage of this program and visit your local park. While your are visiting the NYC Parks department website, check out the many winter activities available for families, as well as the GreeNYC website, full of tips and ideas about making Green Living in New York easy. PLUS! You get free Hot Chocolate and Pop Chips at some stations! Its fun. Squawk for the Hawk! Birds avoid foreclosure thanks to Art Department. (2) If you mess up, use the other side! 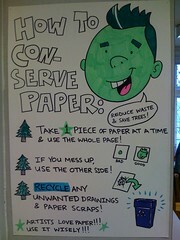 (3) Recycle any unwanted drawings and paper scraps! Artists Love Paper!! Use It Wisely!! You are currently browsing the Green Gremlins weblog archives for January 2010. Golden Apple Winners-2010 Reduce and Reuse Challenge! Green Gremlins syndicates its weblog posts and Comments using a technology called RSS (Real Simple Syndication). You can use a service like Bloglines to get notified when there are new posts to this weblog.